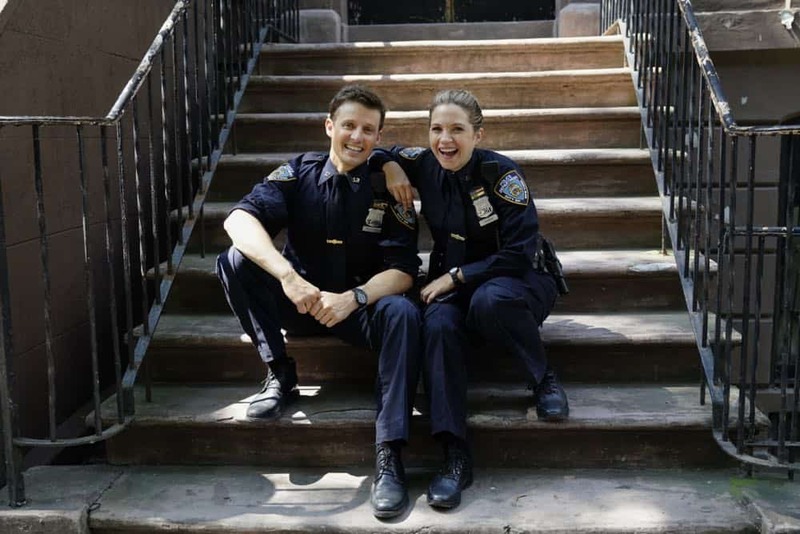 Coming up on Blue Bloods season 9 episode 10 on CBS Friday night, you’re going to see a story for Jamie and Eddie that is a little bit different. Why is that? Well, let’s just say that pranks are at the center of the action … but not necessarily in a fun way. Related Blue Bloods video! – Be sure to check out some more information when it comes to what to expect in this episode below! Also, remember here that you can subscribe to CarterMatt on YouTube for more, and be sure to check out our official show playlist. In a sneak peek over on CBS’ official press site, you can see Jamko debating as to what exactly to do when it comes to someone at the precinct who is giving Jamie a really hard time. They are pranking him and while Jamie doesn’t have any 100% proof as to the person’s identity, Eddie clearly knows who they are and wants to do something about it … or at least wants Jamie to. He is the boss and with that, he therefore does have a great deal of power. It mostly just comes down to how exactly he wants to act. It’s a tricky situation — everyone does make fun of the boss but, in the process of that, it can only go so far. One of the things that we do know more than anything is this: Jamie and Eddie have been keeping things reasonably under wraps when it comes to their relationship. Yet, on the surface this does feel like the sort of thing that could bring it out in the open. What if Eddie does decide to retaliate against this person for revealing too much about the relationship? Isn’t that something that we do have to consider and think about a little bit? If the relationship does come out, more than likely that will change how most of the other characters perceive Jamie and Eddie. More than likely, they won’t be treated anywhere near the same for many different reasons — especially since they kept this information from everyone for a lengthy period of time. There are some other stories coming in this episode but, in the end, this is one that we’re watching out for. On paper, this seems to just be a small deal; yet, sometimes we do end up seeing little things spiral into something so much more to the point that you have to watch out for them in the long-term.